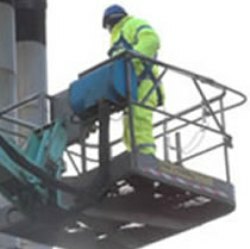 The Work at Height Regulations 2005 apply when you’re working at height, which means work in any place where, if there were no precautions in place, a person could fall a distance liable to cause personal injury. These regulations are put in place to prevent death and injury caused by falls from height. Employers or anyone in control of work at height activities must make sure everything is planned out properly, that it is supervised and carried out by competent people. Before any work starts, the employers must first assess the risks. Employees have general legal duties to take reasonable care of themselves and others who may be affected by their actions. Falls from height are one of the biggest causes of workplace fatalities and major injuries. Fall from height accounts for 20% of fatalities at work. To prevent falls from height you should make sure permanent safe access arrangements should be installed where possible. Avoid work at height where it is reasonably practicable to do so. Where work at height cannot be easily avoided, prevent falls using either an existing place of work that is already safe or the right type of equipment. Minimise the distance and consequences of a fall, by using the right type of equipment where the risk cannot be eliminated. Only competent people should be working at height. Supervision of workers that may be necessary e.g. work equipment selected lower down the hierarchy of control, such as fall arrest equipment, will require a higher level of supervision. Weather conditions that workers might be exposed to e.g. working in rainy conditions on a slippery surface or an icy roof. Any emergency or rescue procedures that may be required e.g. what to do if someone falls while using a fall arrest system. You might be thinking how you decide who is competent to work at height. You should make sure that people with sufficient skills, knowledge and experience are doing the job, or if they are being trained, e.g. an apprentice, are working under the supervision of a competent person. If the task might just be involving a ladder for example, then the employees might just need instruction on how to use the equipment correctly. When a more technical level of competence is required, for example drawing up a plan for assembling a complex scaffold, existing training and certification schemes drawn up by trade associations and industry is one way to help demonstrate competence.